Eight days to go till Psych: the Movie premieres on the USA Network. Turn an eight on it’s side and it looks like the symbol for infinity (eternity) which is what it’s felt like, waiting for the premiere. But that’s not what we’re here to discuss. Today it’s all about the holes. 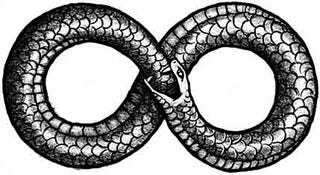 There are two in a figure eight, and more than a few on Psych. No, not plot holes, actual “hole” references. I previously mention one in my Psych Countdown and Top 10 List. In the episode 65 Million Years Off (S2 Ep2) Gus is unable to guess the film, Shawn is thinking of, as the two dig a bunch of holes looking for a T-Rex skeleton. The film was Holes, in which Dulé Hill played Sam The Onion Man. This may be the most on the nose reference, but there are other references to the film... well at least two more. Sam The Onion Man’s endearing catchphrase figures prominently in his unconventional courtship of schoolteacher Katherine Barlow. A farmboy who also just so happens to be the suave international man of leisure and procurer of objet d’art, Pierre Despereaux. But I digress. Gus drops this same line (I can fix that) twice in the episode, Santa Barbarian Candidate. In Holes, Sam The Onion Man would trade his onions to Katherine Barlow for her famous spiced peaches. Gus’ love for the velvety fruit is referenced several times in the show. Subsequently, it became a running joke on the set: someone would say the words “three-hole punch” during shooting and the cast and crew all pretend to laugh as if it’s the funniest thing they’ve ever heard.